Building strong relationships with other organizations and leaders is essential to joining in the work of Jesus. This is a value that has resonated within the Christian & Missionary Alliance from the very beginning as A.B. Simpson envisioned engaging an “alliance” of people from all denominational backgrounds united around the common desire to reach the nations with the gospel of Jesus. 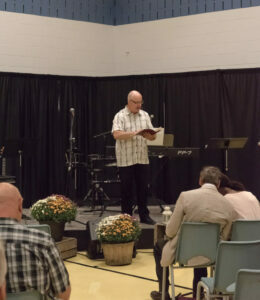 Recently, New Venture leader Graham Bulmer had a chance to weigh in on the value of building partnerships as he starts something new in Jesus’ name in Stoney Creek, ON. His New Venture emerged from the vision of Harbour Fellowship Church in St. Catharines to plant a daughter church. 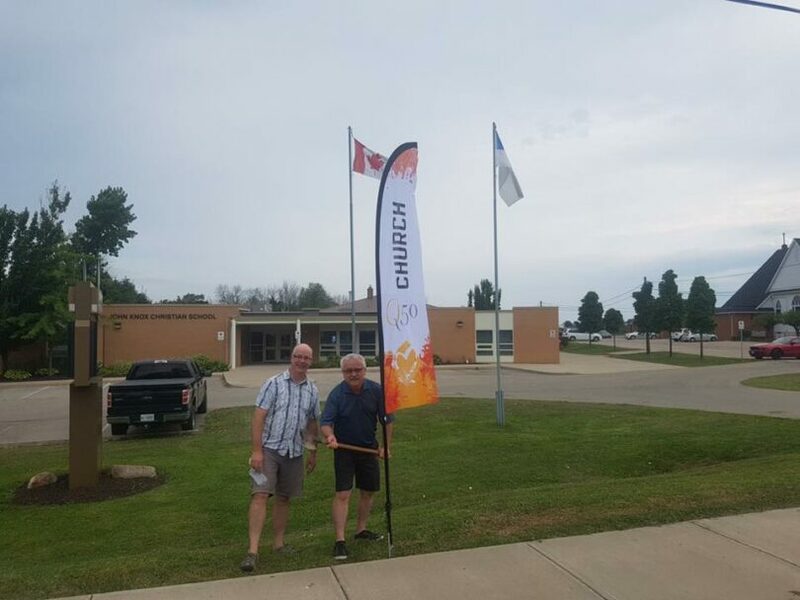 Graham began gathering a small group in July 2018, and their target area is the intersection of the QEW and Fifty Road in Winona, ON (hence the name, Q50 Community Church). Their heart is to walk with people from disenchantment to discipleship. The very first thing Graham did before starting Q50 Community was to visit every healthy church in the area. It started out from a position of courtesy, but it resonated with so many of the churches that he spoke with. One church even invited him to come preach and share the vision. An Anglican priest in the area has also been a huge source of encouragement to Graham; she was also a church planter. Today, Q50’s ministry partners are broad and many, and they provide everything from financial to relational support. Don’t even think about doing this kind of thing alone! It isn’t just about having resources for counsel and advice. Launching a new ministry project is demanding, and we all need to be part of a larger community that will encourage us, help cultivate new ideas (and throw away some of the crazier ones we may have! ), and most importantly, protect us from falling into the trap of making our own ministry the central focus of our world. We need ministry friends who remind us of God’s presence and faithfulness, hold us accountable, and cheer us on. No one can do this well in isolation. Want to join Jesus in working toward something new in Stoney Creek through Graham? Think Jesus may be calling you to do something new? Learn more on the New Ventures website and get in touch today. As the New Ventures communications lead, Bethany is responsible not only to find ways to celebrate stories. 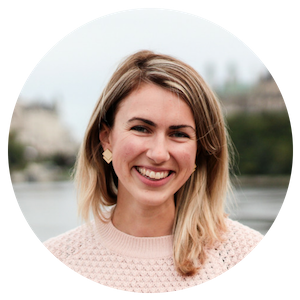 Hailing from rainy Vancouver BC, Bethany and her husband moved to Greater Montreal in 2016 to be part of a New Venture and to explore the new things God was calling them to in Eastern Canada.